After hearing from our loyal customers, we are no longer posting blog updates but will continue to use our Facebook page and Instagram account as the quickest, most efficient way to advertise new inventory or special announcements for Avenue Salvage. You can easily access both sites from the home page of this website. Follow us on Facebook and Instagram to see our latest offerings and remember to mark your calendars to visit us for "Salvage Weekend!" the first Sat. & Sun. of every month from 10a.m.-3p.m. Remember the fun is in the discovery ... looking forward to seeing you soon! As the Christmas Rush comes crashing down upon us, why not take a breather from those crowded malls and come explore for unusual gifts at Avenue Salvage Company. 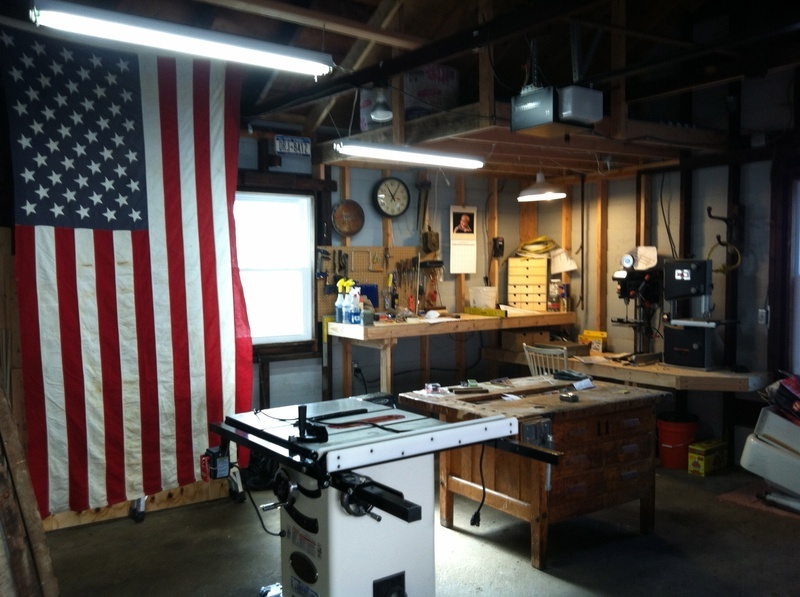 Our shop and two garages located in Millburn, NJ, are well stocked with new merchandise every week. From vintage to antique and one-of-a-kinds, you're bound to find something in your budget and area of interest. 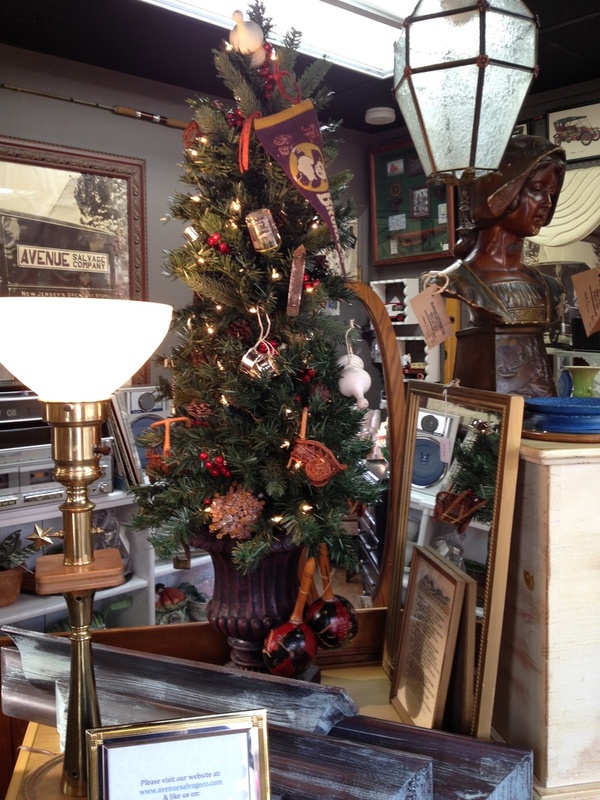 We even have a "Salvage Christmas Tree" to celebrate our heritage and the season. We are open every Friday, Saturday and Sunday from 11- 4. Stop by and see us and have a very Happy and safe Holiday! Once Upon A Time There Was A Vespa! Once upon a time there was a beautiful, mint condition Vespa that sat patiently in a garage since it was purchased new in 2007. Its proud owner was transferred to Italy and there it sat a lonely soldier waiting for its master to return. Years later, that master decided it was time to give it the life it deserved and released it from the garage. 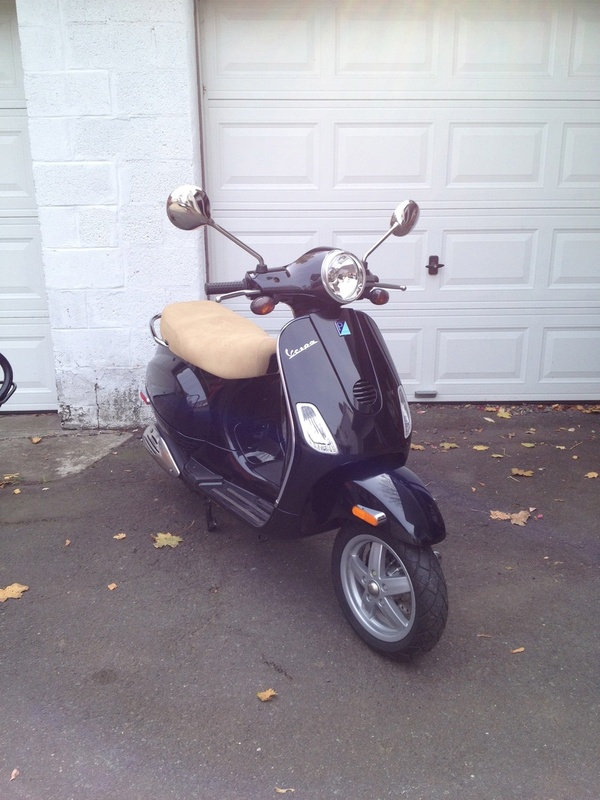 Now, this beautiful ride with 12 MILES on its odometer can be yours for $2700!! Go ahead, give yourself an early Christmas present ... you know you want it! The Frost Is On The Pumpkin! The weather has changed and the cool, crisp air has brought a whole new batch of treasures to Avenue Salvage Company in Millburn. Come see us and you'll be sure to find some treats in our shop & garages! From time to time we have asked our customers to send us pictures of how they transformed the 'treasures' they found at Avenue Salvage and merged them in to their home or office decor. 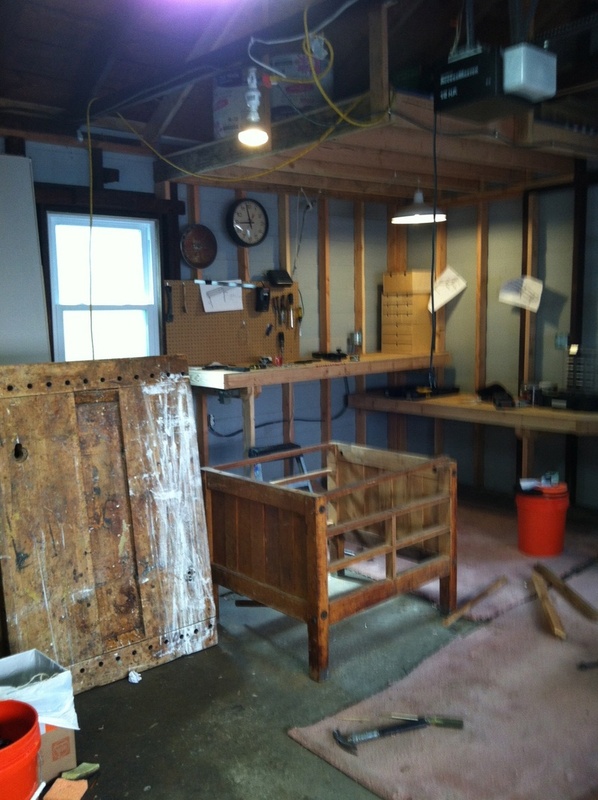 Two of our most loyal customers, Nate from Maplewood and his adorable son Curtis, have kindly obliged by sending us a photographic panorama of an amazing, vintage work table that he bought in heavy pieces from our garage and rebuilt from scratch in his own garage workspace. It will come as no surprise to know that Nate is an artist. His impeccable work is evident throughout the process as you can admire from the photos below. 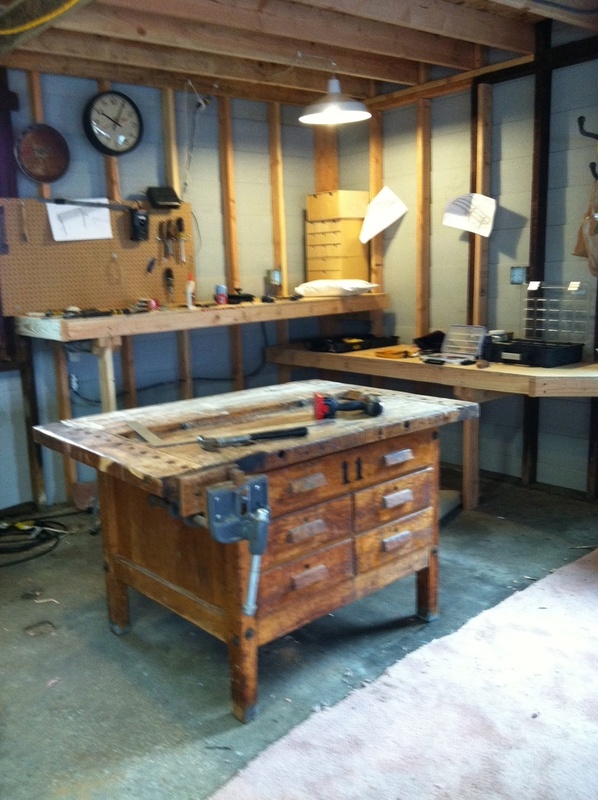 The finished product that sits in his finely outfitted workshop would inspire anyone to take on a good project! Now that the kids are back in school, take a few minutes for yourself and come see our expanded space and new inventory at Avenue Salvage Company located at 378 Millburn Avenue in Millburn. 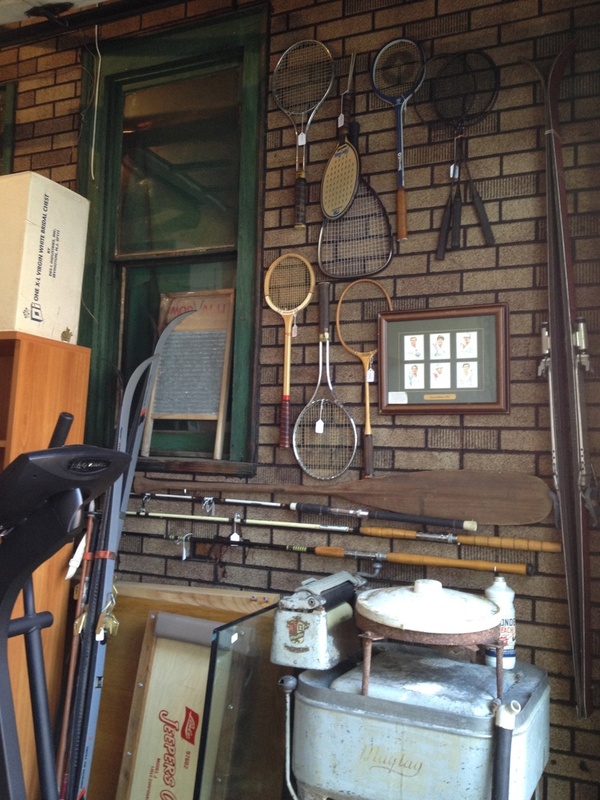 From boats to bar carts and everything in between we have a huge assortment of antique, vintage and unique furniture, housewares, sporting equipment and decor. So stop by after your spin class or before you hit up the Deli or Farmer's Market ... there is truly something for everyone! Avenue Salvage Company is even bigger & better! We have expanded our space at our current location at 378 Millburn Avenue in Millburn to include a second garage bay right next to the original. Now you have even more nooks & crannies to investigate in your search for vintage, antique & eclectic treasures for your home, apartment or office space. Please stop in to see the latest in our ever changing inventory and take a look through our photo albums for pictures of our site and recent merchandise. Our hours are Fri. - Sun. 11-4 with expanded hours during special "Seasonal Sale" dates. Here's a quick example of one of our "Before & After" projects. 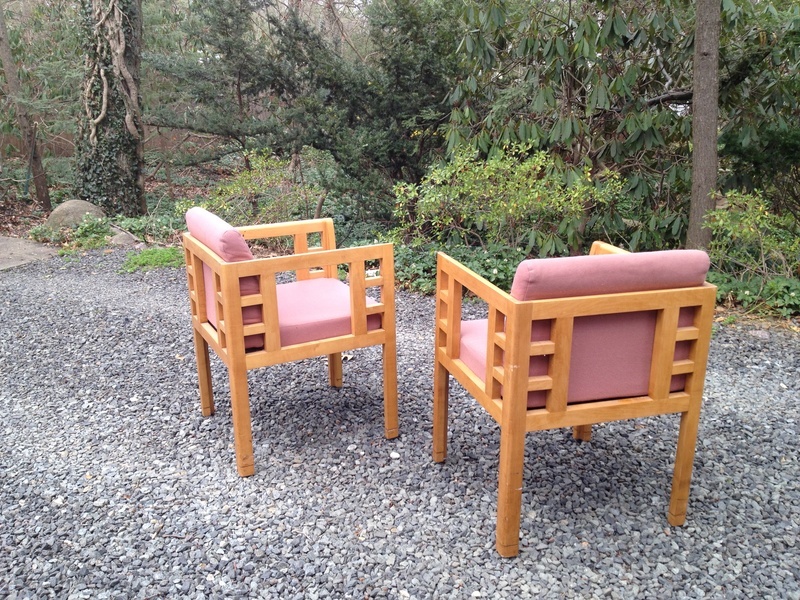 Our owner, Rick Dolansky, found these awesome chairs that originally came from San Francisco. We noticed the awesome design that rose above all that mauve nylon faux linen. We used a high gloss black enamel finish to bring out the design and chose a durable black & white upholstery fabric to complement the lines. 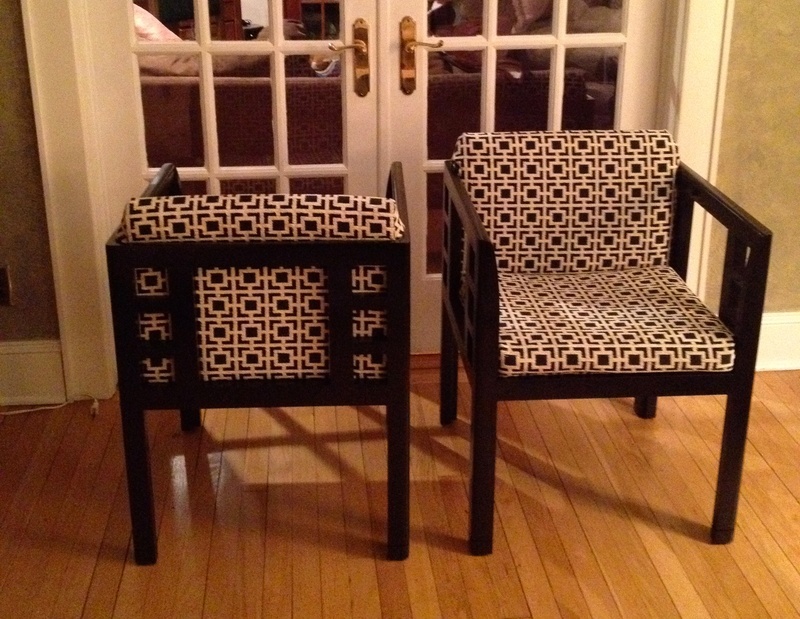 Voila ... A pair of really cool occasional chairs that our client is using in her entry hall! If you have purchased pieces from us and want to share your "reclamation or repurposing" photos with us, please feel free to email us at: avenuesalvagecompany@gmail.com.